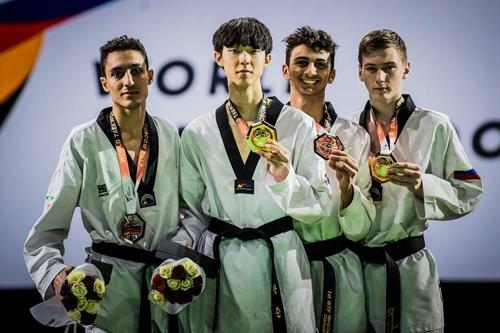 South Korean taekwondo player Jang Jun has won the World Taekwondo Grand Prix in Russia on Sunday, becoming the youngest Korean ever to win gold in the event. The 18-year-old player took the Grand Prix title in the men's 58-kilogram category on Saturday at the USK CSKA Basketball Arena in Moscow. Jang was supposed to fight Iran's Armin Hadipour Seighalani in the final, but the Iranian withdraw from the game due to injury. In the semifinal, Jang defeated Andrei Kanaev of Russia 24-9.